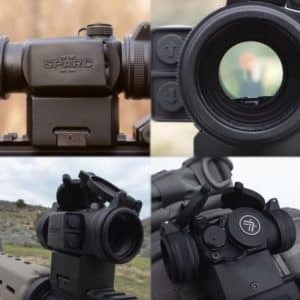 Vortex Strike Eagle vs. Burris MTAC Review - Best Comparison in 2019 April! 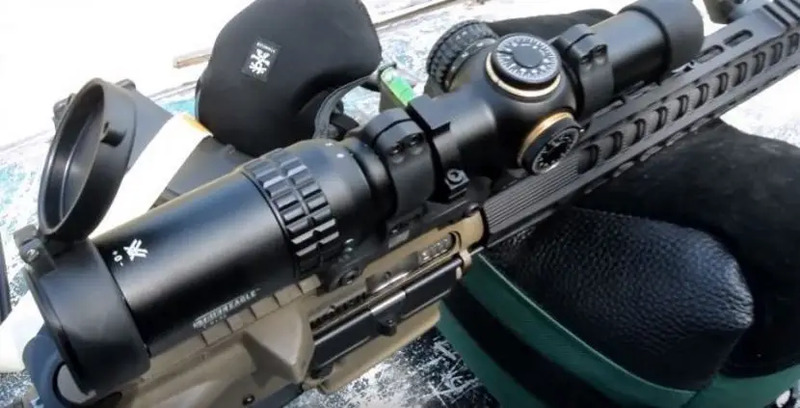 In this article I take two similar riflescopes, the relatively new Vortex STRIKE EAGLE® 1-6X24 RIFLESCOPE and compare it to the veteran Burris MTAC™ Riflescope 1-4x24mm. 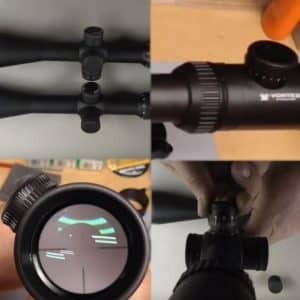 Both scopes are very similar in design and performance, and the price difference is 20% in favor of the Vortex. So let’s see why the Burris is pricier and is it worth that difference? When it comes to performance and price ratios, it’s hard to beat a Vortex. This upstart company, new on the global arena has upset a lot of the more solid veteran companies by delivering top-notch products at a fraction of the price. The Strike Eagle is one of the Vortex flag models and comes with the speed and versatility that a 1 to 6x riflescope can deliver. So, what do you get for such an interesting price? You get the standard Vortex The Strike Eagle comes with the standard Vortex Fully Multi-Coated optics that gives you multiple anti-reflective coatings on all air-to-glass surfaces. 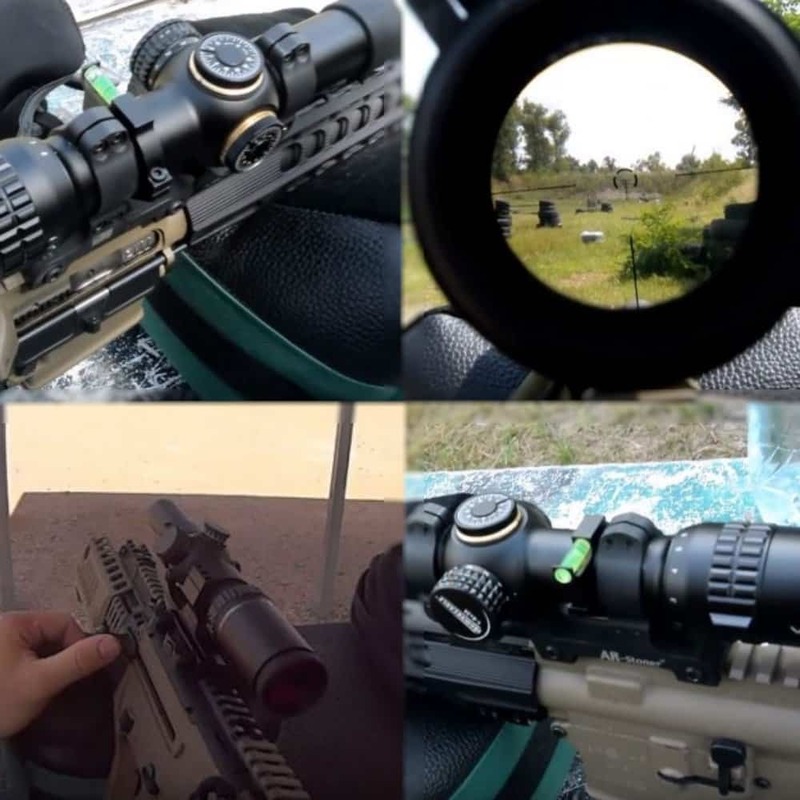 A Second Focal Plane Reticle used for estimating range, holdover and wind drift correction, and it’s not just any reticle, it’s an illuminated glass etched reticle. 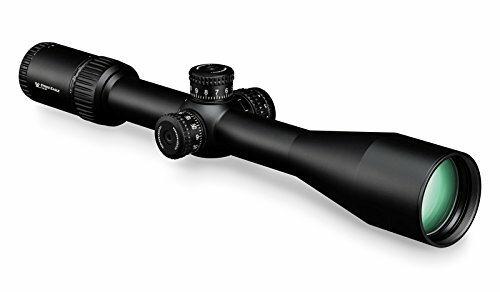 The body of this scope is made from a 30 mm Single-Piece Tube of Aircraft-Grade Aluminum that is finished with Hard-Anodized low-glare matte finish. The internals is waterproofed using O-ring seals and is nitrogen purged to provide a fog-free performance. The overall construction is designed to provide a recoil and bump shockproof device, and the turrets are capped to secure the optics when not in use. The Strike Eagle is actually one of the first Vortex models and does not incorporate all of their latest technologies, as such, if you want a better model I would suggest a PST. However, since this is a comparison between the Strike Eagle and the Burris MTAC, let’s focus on the Strike Eagle. The Strike Eagle offers performance for both long-range shooting, and moving game hunting. Waterproof, Fog proof and Shockproof. Burris is a veteran electro-optic company that has delivered many sights for over 40 years, and the MTAC is one more of their outstanding scopes. The MTAC 1-4×24 actually comes in 8 different configurations, including reticle options, kits, and camo finishes. So what do you get with the Burris MTAC 1-4×24? You get a multi-purpose scope that is designed for game hunters, competitive shooters and general gun enthusiasts. It comes with their fast-action Ballistic CQ™ reticle that has a circular center that provides you with ultra-fast engagement for close distance action. The smaller reticle dots give you a trajectory compensation out to 600 yards, and the illuminated reticle gives you easier and faster target acquisition performance. The elevation and windage dials are calibrated to ½ MOA per click, and the scope can be reset to 0 once sighted. This model gives you up to 4 inches of eye relief and comes with finger-adjustable MTAC mil-rad target knobs set in an ergonomic power ring for easy grip and quick power setting adjustments. The optics are coated with Hi-Lume® multicoating for index matching and is compatible for night vision tech. The body is made from a 30 mm aluminum alloy tube that is precision gauged with hand fitted components providing you with a waterproof and nitrogen purged fog proof performance in a shockproof rugged frame. The double internal spring-tension system means scope holds zero through shock, recoil, and vibrations. The MTAC has a great following and is a popular scope with close range and big game hunters alike using this for a variety of applications. Smaller illuminated reticle dots provide trajectory compensation out to 600 yds. One of the biggest issues that Vortex brings with its models is the industry disruptive performance per price ratio. Vortex is a bipolar company, and it is lauded by its clients from bringing affordable high-quality scopes to the public, while it is feared by its rivals for doing that too. 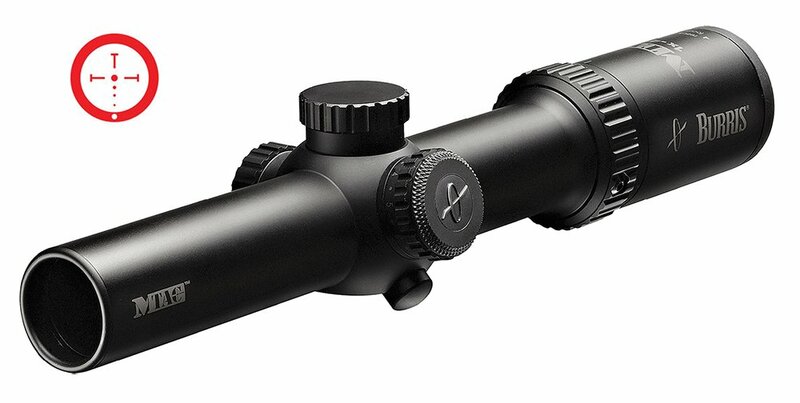 Vortex is not some cheap upstart; it’s a high-quality fabricator that has upset the dormant world of scope making with providing budget-friendly alternatives that perform equal to or better than the veteran brand models. So, how does the upstart Vortex Strike Eagle compare to the veteran Burris MTAC? To start off with both models are very similar, so it comes down to the finer details, and as such, the main differences between the two include the Vortex 11 brightness levels when compared to the Burris’ 10. 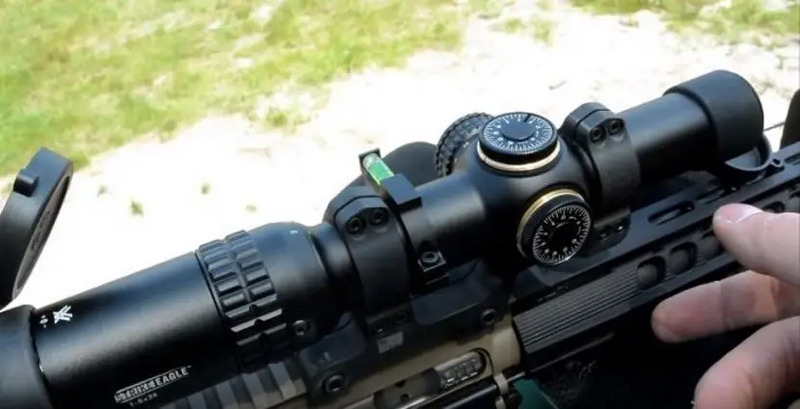 Against this, the Burris gives you 4 inches of eye relief when compared to the Vortex, but the Burris only gas 4x magnification against the Vortex’s 6x magnification. In terms of size and weight, the Burris is longer by just under an inch but is 3.1 ounces lighter at 14.5 ounces compared to the Vortex 17.6 ounces, which is a major weight difference in favor of the Burris. Both come with 24 mm objective lenses and 30 mm aluminum alloy tubes that are Nitrogen purged and waterproof. The overall design is virtually identical, and it is hard to distinguish the difference between the two bodies, where both have excellent knob operations. 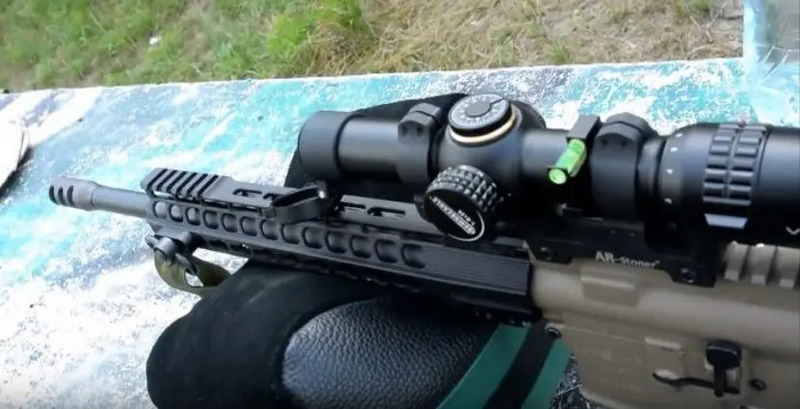 The Vortex Strike Eagles FOV is greater than that of the Burris, and this is a major advantage, and when combined with the 140 MOA adjustment compared to the Burris 130 MOA, it’s obvious that the Vortex is outperforming here again. 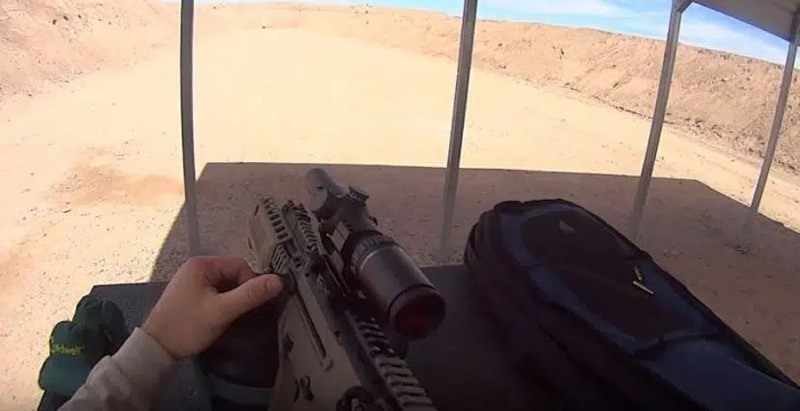 The interesting difference in the quality of optics comes in the slightly pink tinge that the Vortex provides when compared to the less tinted Burris. 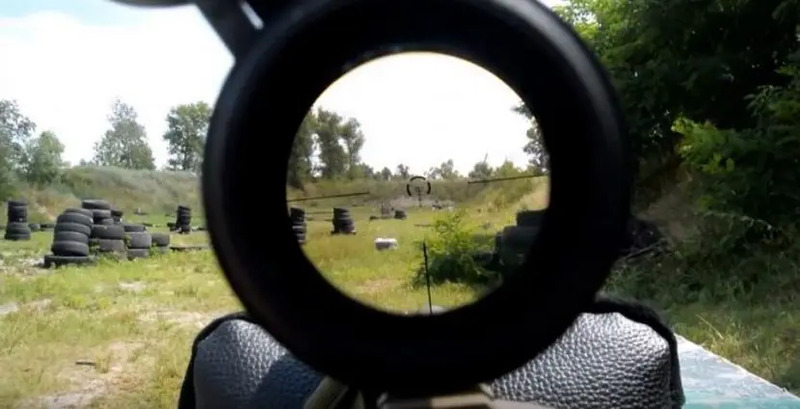 In operation, both acquire targets very well, the Vortex outperforms the Burris in a number of categories, and these include the field of view, the brightness options, and the magnification. The Burris outperforms the Vortex in weight only. The Vortex provides a much wider and more versatile performance, it comes with clearer and easier target acquisition, and its price is around 20% less than the Burris. Now, if the Burris had delivered a significant performance better than the Vortex the decision would be different, but it doesn’t, in fact, the Vortex is actually a better performer than the Burris. The Strike Eagle is one of the older Vortex models that use older technology than the PST for instance. Had this comparison been between the PST and the Burris, there would be even less of a competition, as such my only suggestion to Burris is shape up or ship out, change your process or change your technology or you will soon be a Model T Ford in a world of Tesla Model 3’s. Bottom line: Vortex is continuing to annoy the competition while pleasing the crowd. What a performer! On a personal note, I think we will be seeing much more Vortex performance when compared to any other models, since price is an issue, and when quality of performance and integrity of structure are equal, the equation of choice falls down to price and perception. You can’t argue with price, but perception is just a matter of braking old habits. So don’t be a die-hard, get a Vortex and enjoy saving some bucks while enjoying better performance.